The FC-One Pro forged head is made using 1025, or SC-25, carbon steel, even softer feeling, and more malleable, than the original S800 series forged released in 2008, which was made using 1035. They will come with a .355 tapered hosel rather than .370 parallel hosel. 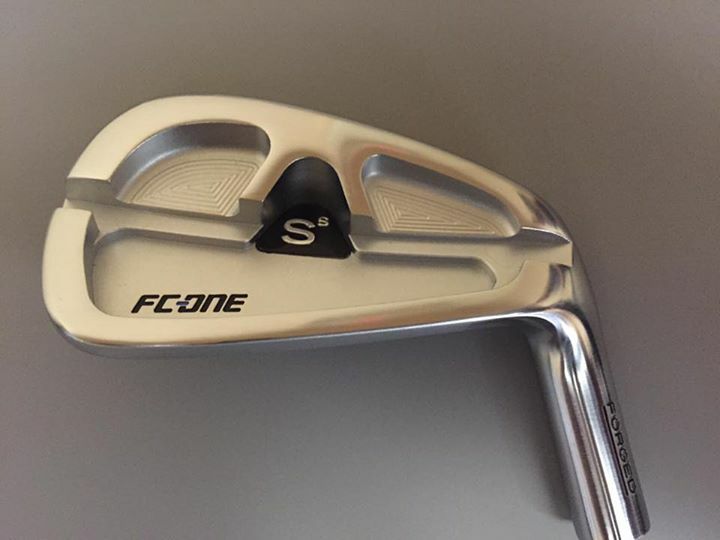 This allows use of the FC-One Pro iron shaft for players that have a a bit higher mid-iron swing speed with later release for a lower piercing ball flight or the use of Nippon .355 tapered iron shafts for various player swing types. The FC-One Pro forged head will come in a satin finish pictured above or black. I have yet to see the black or know how the finish will wear over time. The will be a great forged head interesting to mid to low hdcp level players.